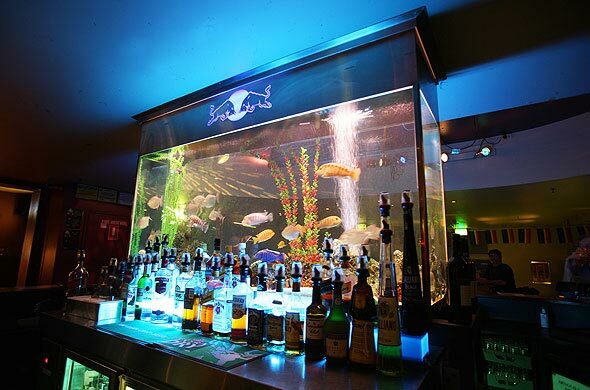 Designer Constructions were employed by “Red Bull” agent, Kastner and Partner, to create a unique main feature within the club that incorporated the Red Bull logo. 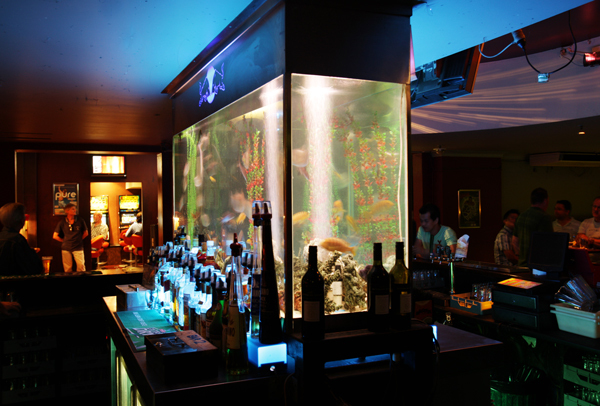 The existing Fish Tank was to be the centrepiece of the club. 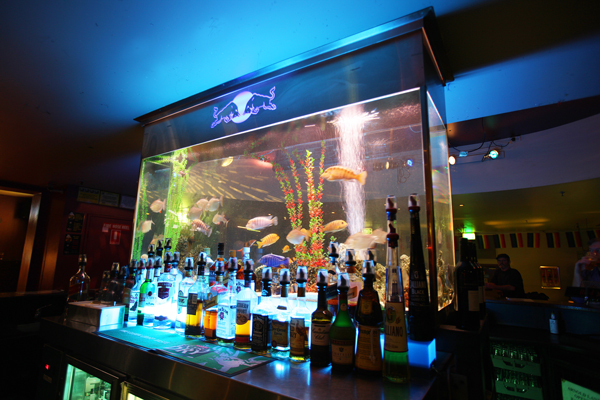 A bulkhead featuring the RED BULL logo was designed to sit above the tank ensuring maximum visibility to all areas of the bar. For durability, it was manufactured in stainless Steel and precision plasma cut for accuracy. Special 12 Volt neon blue lighting tubes were custom made to avoid possible electrical hazards due to its close proximity to the water.